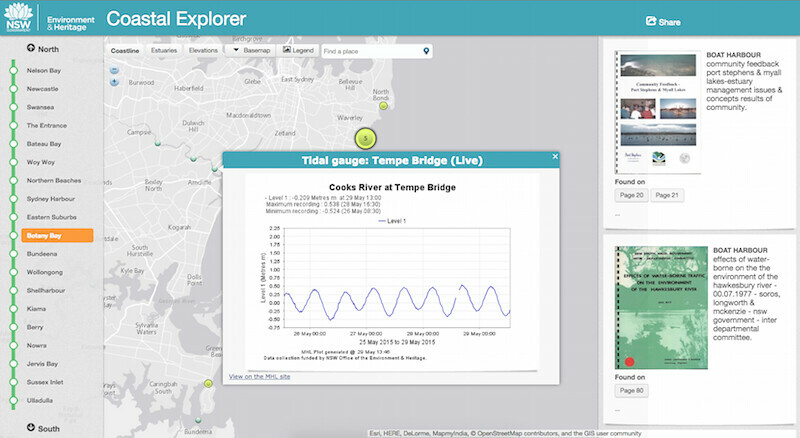 The New South Wales Coastal Explorer is a site built on the Full Extent map viewer API, of which I was the principal developer. This site used semantic analysis to place hundreds of PDF documents on the map, using Full Extent's text-to-map product. My role was to built the map interface, including the innovative pseudo-schematic navigation widget which affords easy navigation along the NSW coastline.